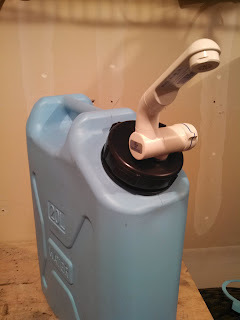 An increasing number of people are taking personal electronics and 12volt refrigerators on their camping and overlanding trips, and we are no exception. While these devices allow us to bring some creature comforts from home, they add extra load on your vehicle’s battery. If left unchecked, these loads can deplete the battery charge and leave it without enough power to start the engine. While many choose to add a dual battery system to their vehicles, we felt adding a solar panel to the vehicle’s 12volt system would be a more simple solution to extending the battery’s charge. I began looking into solar panels after our trip to New Zealand. We rented a campervan equipped with a 12-volt refrigerator to explore the South Island. While the van was set up with a dual battery system, it failed on the second day of our trip so we were left running the refrigerator off of the primary battery. I began to think that, if sized appropriately, a solar panel could eliminate the need for a second battery or the need to use the engine to charge the battery during the middle of the day when refrigerator loads are highest. We needed a panel design conducive to international travel and since we wanted to be able to fly with it in our checked luggage, it would need to be lightweight and have a compact design. After meeting with manufacturers, I decided to go with a PowerFilm foldable panel. These foldable panels are designed for use by military units deployed around the world. 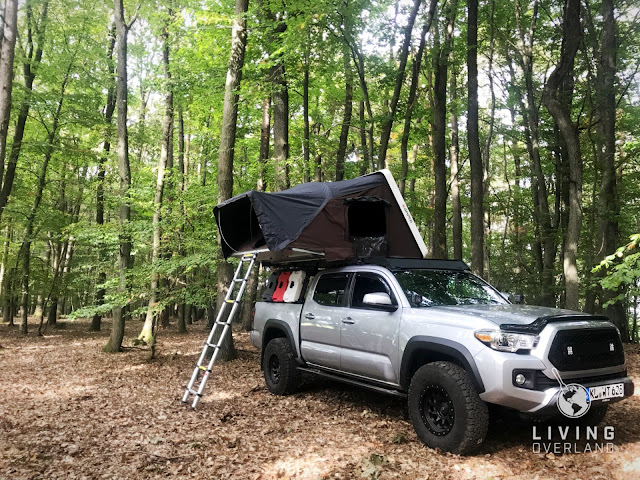 They are semi-flexible and constructed with a heavy canvas back which allows them to be draped over a roof rack full of gear, over a vehicle’s windshield, or staked to the ground. 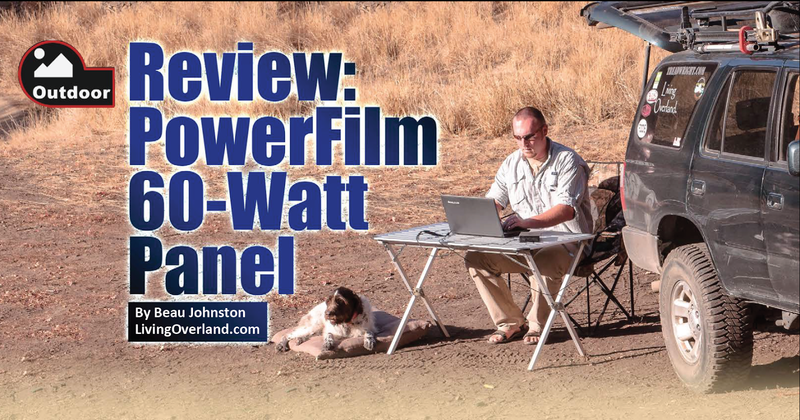 You can read the rest of our 60-Watt PowerFilm solar panel review in the January 2014 issue of Toyota Cruisers and Trucks Magazine.